The legacy of Hera Syndulla has already begun. 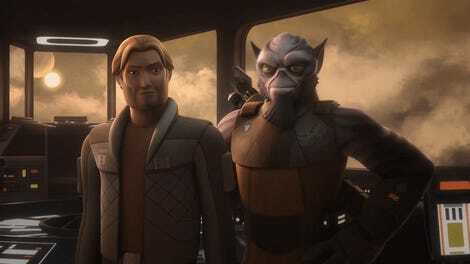 In the epilogue, which you can watch above, we learn that Hera Syndulla fought with the Rebels through the battle of Endor and even had a son, Jacen Syndulla, whose father was the Jedi Kanan Jarrus. A son with a Jedi father? What could possibly go wrong? 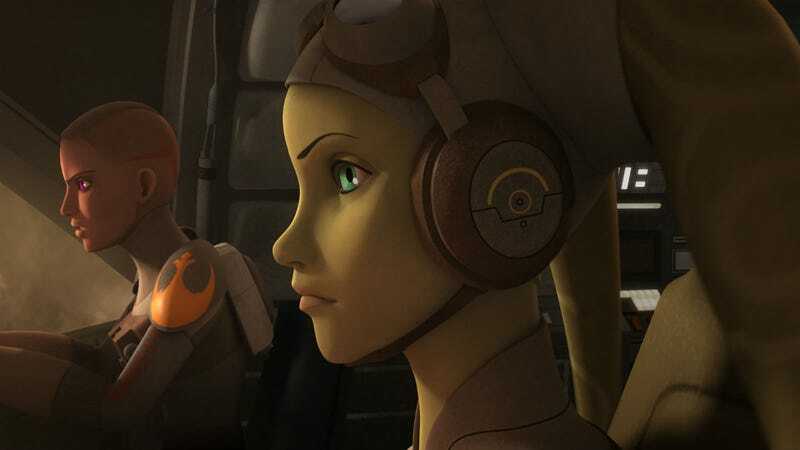 Obviously, this character could have major ramifications for the future of Star Wars—but if you talk to Rebels executive producer Dave Filoni, he may be the only one who isn’t thinking about it. But that doesn’t mean Filoni threw the character out there without thinking about it. When he had the idea, he kept it very quiet for as long as he could. And yes, the name was chosen very, very specifically. Jacen Syndulla may have a big future ahead of him, and we don’t mean that green on the end of his ears. Well, Jacen Solo was the son of Han Solo and Princess Leia; he became a Jedi and then turned to the dark side, becoming the powerful Sith Darth Caedus. Not the best role model for young Jacen Syndulla but, unlike Solo, his path has yet to be discovered.